Surprise your sweetie one day early on February 13th for National Eat Italian Food Day! It’s a day set aside to celebrate the Italian culture in our area, namely the uniquely inspired food. 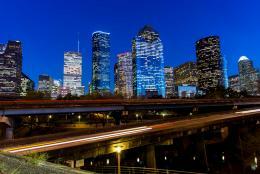 While you may think Houston is best known for its Mexican cuisine there are plenty of amazing options when it comes to enjoying fare the other side of the pond - Italy. Start your afternoon exploring Discovery Green park and walk over to Grotto Downtown. The warehouse style interior has exposed brick with a rustic look. There is a nice selection of curated craft beers, Grappa and wine. 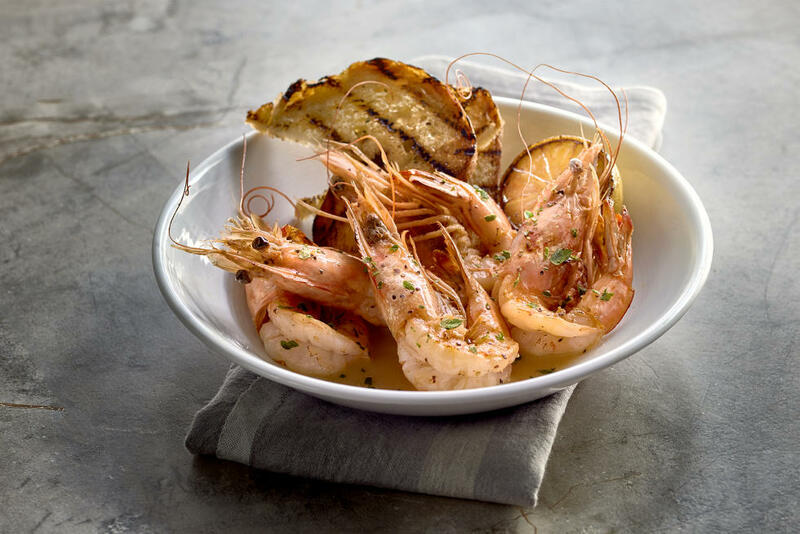 One must try menu item is the Gamberi - grilled shrimp, garganelli and vodka tomato sauce. Grotto has another location in the Galleria-area with a menu featuring scratch pastas and crispy pizza. 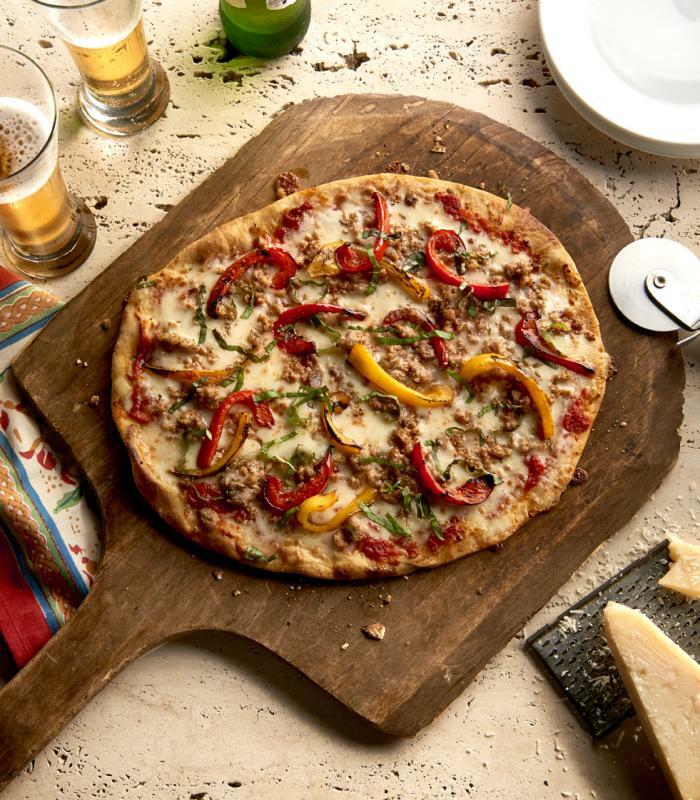 The Sausage Pizza is made with homemade sausage, sautéed peppers and mozzarella. There are three Maggiano locations across the Houston area so you can easily find the one that is closest to you! Chef Jon oversees the scratch kitchen and is always happy to customize your dish to accommodate any allergy or personal taste. Can’t decide on what to eat? The “bruschetta bar” allows you to choose various toppings for your toasted bread including candied bacon, ricotta, arugula and fig jam or the Roasted pear with prosciutto, blue cheese and balsamic. One special we can’t deny is Chef KB’s Lobster Carobnara with Spaghetti, Lobster, Smoked Bacon, Sugar Snap Peas, Truffle Cream Sauce. Need a lively spot to meet up with friends? Check out La Griglia! Located in River Oaks, the colorful restaurant has an eye catching display of Italian murals along with other works of art. The Mussels a La Griglia includes calabrese sausage, scampi, and grilled ciabatta. 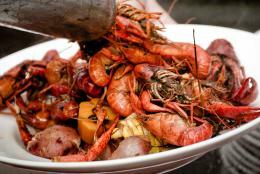 Other flavorful dishes include fresh fish, house made pastas, chicken, beef, fresh vegetables and delightful desserts. This open kitchen design feels welcoming and relaxing. There is a modern approach to traditional Italian food that includes seasonal ingredients, artisanal preparation, hand-shaken cocktails and satisfying dishes. Want to try something you’ll certainly want to tell your friends about? 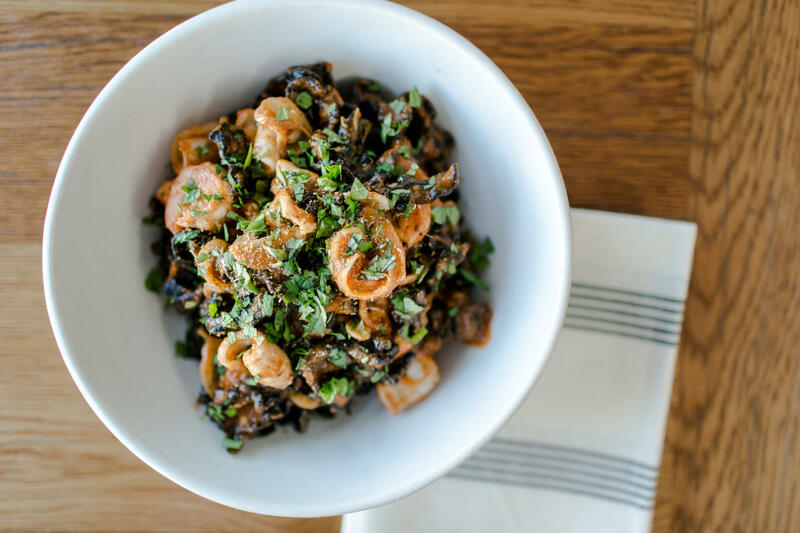 Check out the Squid Ink Mafaldine with white shrimp, calamari, acqua pazza, mint, fennel pollen and calabrian chili. Bonus tip: You can get half off bottles of wine all day on Sundays! Prego has been around Houston for more than 20 years. 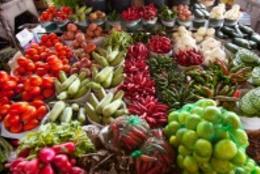 The menu changes regularly, based on the offerings of local purveyors, artisans and farmers. They are always using the freshest, most flavorful seasonal products available. 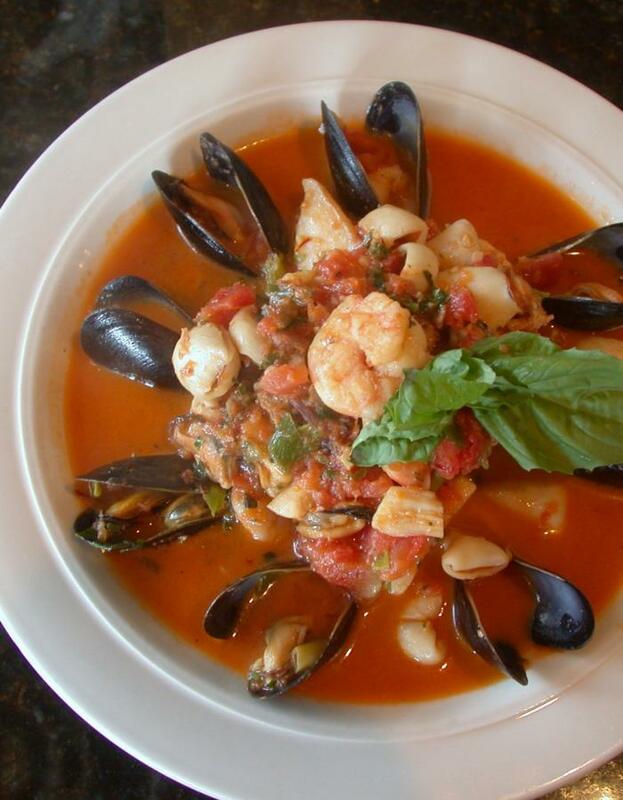 One menu item that is always the same is the popular classic dish called Cacciucco - an Italian name for shellfish soup. The dish starts with a light fish broth with tomato and saffron and is full of mussels, clams, calamari and gulf shrimp. Star Pizza separated itself from other restaurants by offering unique and original menu items including deep-dish pie, vegetarian toppings, and whole wheat crust. Each pizza is made from scratch, and the unique combinations means there is something from everyone. Try the Roasted Garlic, which features a roasted bulb of garlic served with goat cheese and french bread. 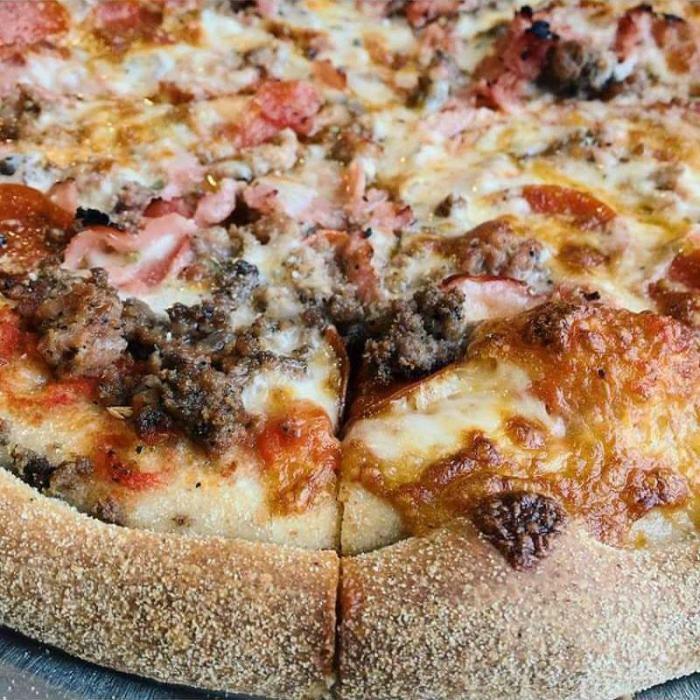 When it comes time to pick your pie, you can mix and match any combination, or go with a classic like Ben’s pizza with ground beef, Italian sausage, pepperoni and ham. Feel like trying something green? The Joe pizza includes sautéed spinach and fresh garlic. Located off Westheimer in the Montrose area, Sorrento Italian Restaurant is a great romantic date night spot. They often have someone playing the piano and they use a lot of candles on the tables, which sets the mood for a great meal. You can bet on all of the Italian Classics including Lasagna, Torchetti Pasta, Butternut Squash Ravioli and Rigatoni. The made from scratch dessert menu includes Chocolate Cannelloni and Tiramisu with a chocolate truffle.